The weather is getting cooler, the leaves are starting to change and pumpkin spice everything has taken over the world! It must be Fall!! While it's not my favorite season, I'm trying not to be a humbug, so I thought I'd make a nice wreath to pretty up the front door. The kids were out of school on Friday, so we ran some errands and I stopped by the Dollar Store to see what jumped out at me. 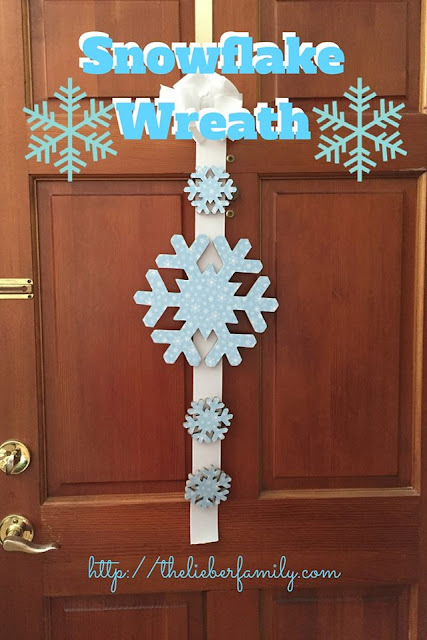 The supplies for this wreath are pretty basic and there are lots of ways you can customize it to make it your own. I spent less than $5 on this project and it took about a hour or so of my time. Wind the twine around the wreath. I found that one roll of twine filled an entire wreath. Frances wrapped hers a little more tightly and we had to make some adjustments in order to have enough twine. This part was the most time consuming aspect. One wreath took me about 30 minutes to wrap. After all three wreaths are wrapped, decide how you like them together. There are lots of different arrangements you could go with, I chose an offset line. Using some leftover twine, tie the wreaths together to hold them in your chose arrangement. 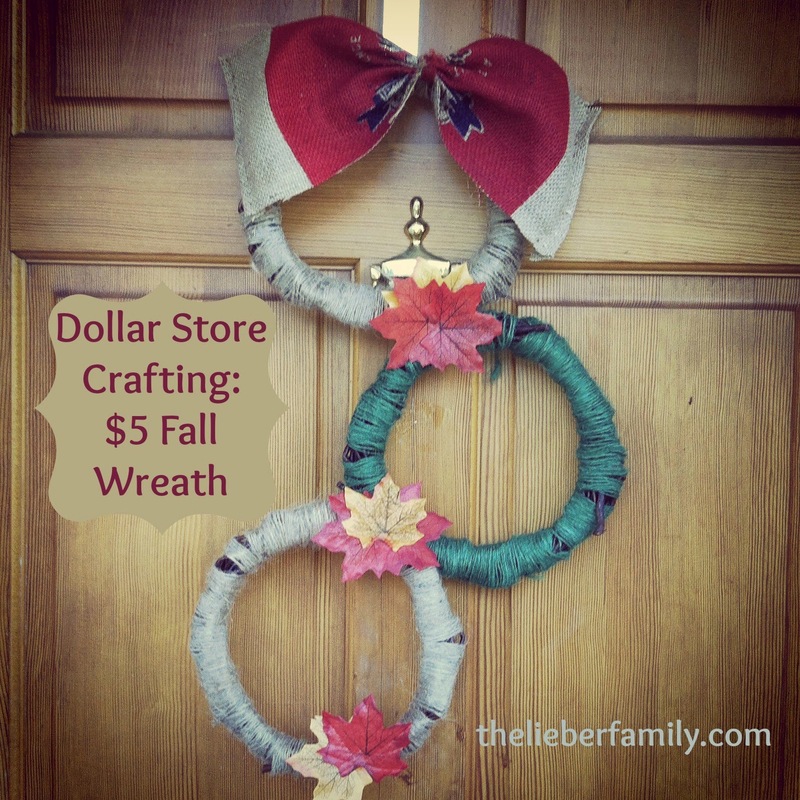 Next, take your decorative leaves and place them around the wreaths. I used mine to hide the places where the wreaths were tied together. The bow on top is made of burlap. I get my rice in big burlap sacks and then keep the sacks because I'm a hoarder I can always find crafty uses for them later. (You can buy burlap in most craft stores, and I'm pretty sure I saw some at the Dollar Store or Target's Dollar Spot.) I cut out a rectangle and then gathered the middle and tied it with twine to make a bow. I tied this to the top of the wreath and hung it on my front door. Happy Fall! You might also want to check out this Fall door decoration I did last year. Super cute! I love inexpensive DIY projects like this. Thanks Janine! Frances and I had fun working on it together! These are my favorite kind! I don't craft, so I buy already made decorations. Looks great and it's even better that it doesn't cost an arm and a leg! One of these days, we'll get you a craft so easy and so fun that even you can do it!! LOL! Thanks Ana! We had a lot of fun making it! 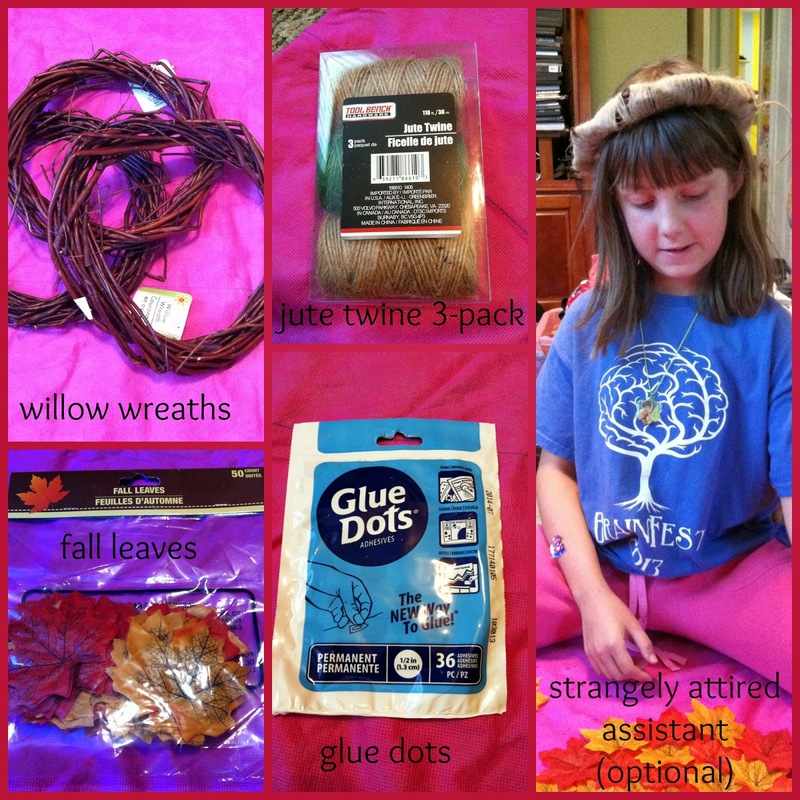 I just bought that same willow wreath- thank you for the awesome craft tips! Don't ya just love the Dollar Store! Aww so jealous of your cute project!! I'd have to make time for that though. Work is taking its toll on me these days. Very cute! I love simple crafts!